London Coffee Festival is kicking off in the capital on Thursday April 12, so why not use it as an excuse to get in on the action at London’s best bars. 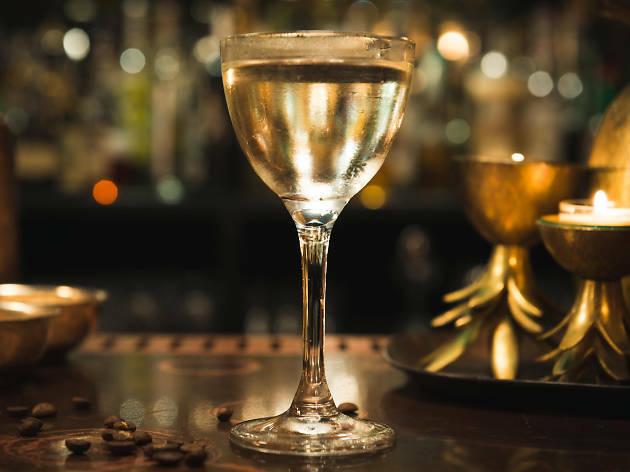 Many of our favourite drinking spots are mixing up coffee cocktails – from classic espresso martinis to more inventive caffeinated concoctions – to get you seriously hot under the collar. They’re also incorporating the lastest coffee-making trends, so you’ll only get the best blends. 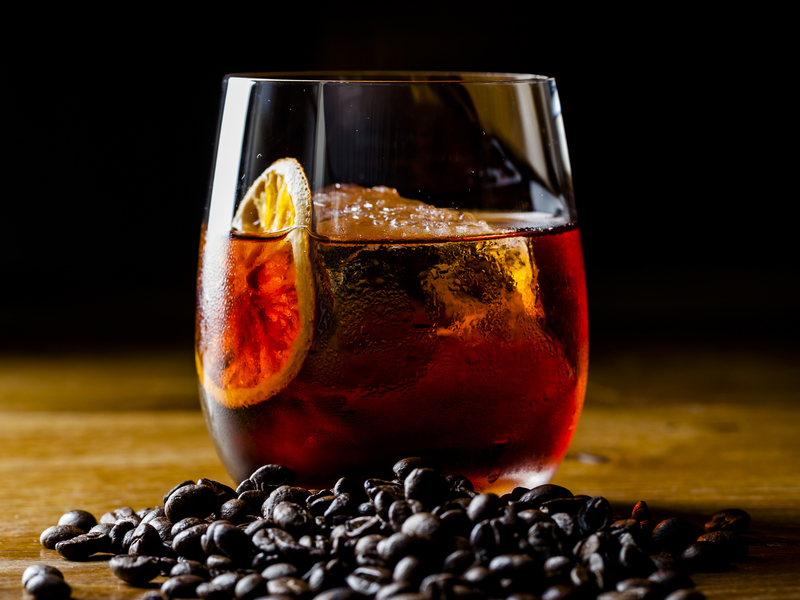 Basically, coffee + booze = rocket fuel, so propel yourself around our list of tip-top coffee cocktails. 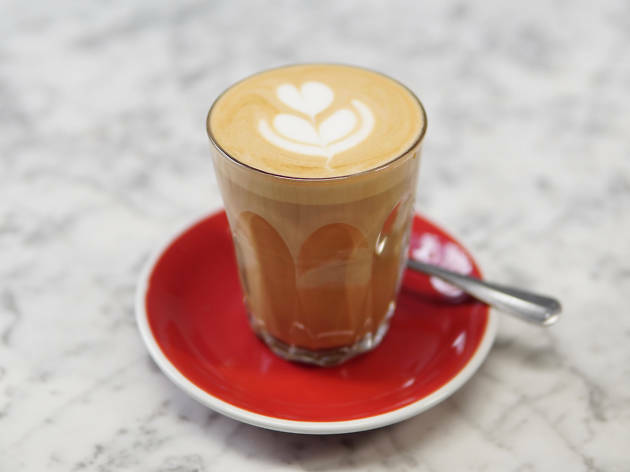 Micro coffee chain Shoreditch Grind makes a creamy, dreamy mash-up between your regular cup of joe and a white russian that would cause The Dude to derobe. Warm milk is steamed and layered on the top, and Grind’s blend of house-roasted coffee beans adds oomph. Espresso martini not indulgent enough? Pair it with pud at Mark’s Bar, where they match vodka cocktails with bar snacks. Their version of the classic drink (invented in Soho!) includes maple syrup and silky Black Cow Vodka. In tandem with choc mousse dusted with Peruvian gold, it’s pure rocket fuel. Bored of brown drinks? 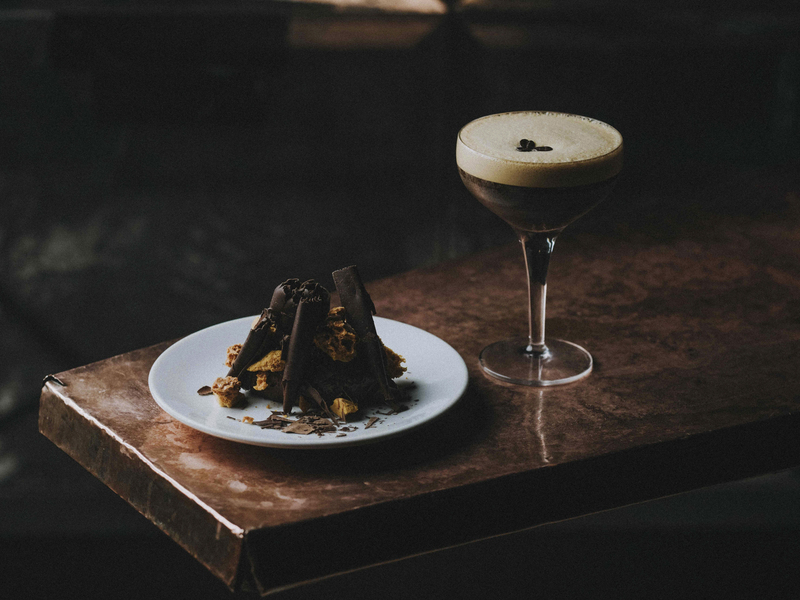 Try an espresso martini that looks like an actual martini at Hawksmoor. This deceptive cocktail is totally transparent, using arabica eau-de-vie (a colourless fruit brandy) for its coffee notes. 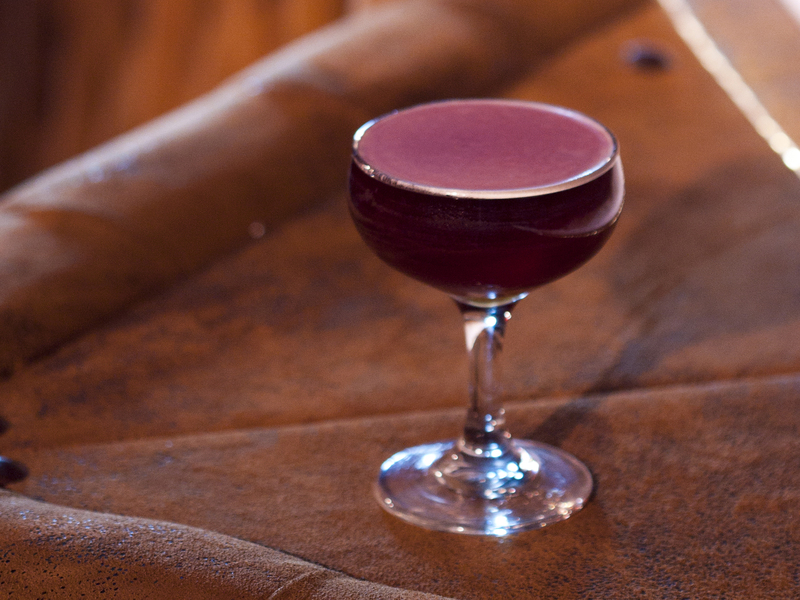 It’s classed as a ‘post-prandial’ on the menu: sip it as a reviver after a monster steak dinner. A decent negroni can knock you sideways. But how about one that’ll bounce you off the ceiling too? In Duck & Waffle’s bar at Heron Tower, they mix the Italian aperitivo with aplomb and then allow it to spend 24 hours slowly dripping through a cold brew tower filled with crushed beans. The result? Even more Italian aromas. Bellissimo! 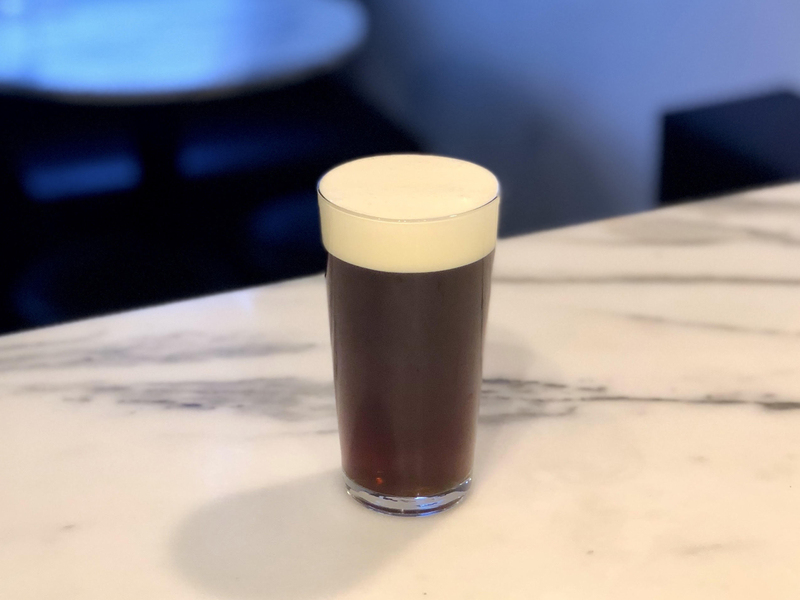 If you’re into coffee geekery, you’ll know all about nitro coffee, a kind of supercharged cold brew. 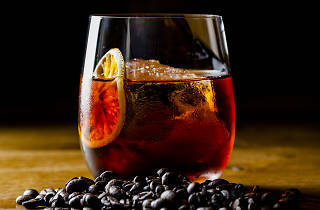 Cocktail nerds at Super Lyan take it further, melding Jack Daniel’s and the bar’s own cola-style syrup with Sandows cold-brew coffee (made in east London). The blend is pulled through a nitrogen keg to give it a silky texture. Think JD and coke meets coffee stout – served in a classy coupe glass, naturally. This bonny cocktail looks just like an Irish coffee and has a lot in common with its Hibernian cousin. But the warm coffee is mixed with buttered whisky and salted coffee liqueur, making it all the more complex. 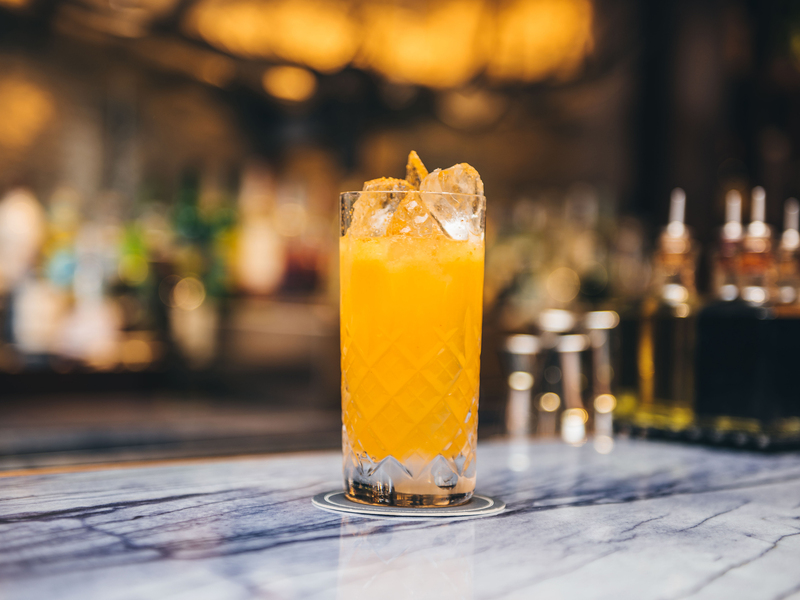 A head made from shortbread cream gives the drink a sweet, biscuity finish. ‘Taps aff’ for this one.